Nutryplus is part of Corporación Premium. Nutryplus is a 100% Mexican company established in 1982, with more than 35 years of experience. 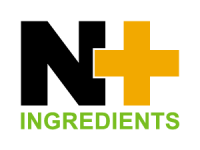 We produce and distribute preservatives, additives and ingredients for the Food and Feed Industries. Nutryplus has over 500 direct customers and offers support and technical assistance, providing solutions for the Food and Feed industries. Why is Nutryplus your best partner? Deep knowledge of the food and feed industries. We can make customized products for our clients. Constantly developing innovative solutions for our customers. We have a professional team of technicians who provide assistance and support in english and spanish. Capability of manufacturing large volumes. We work with the highest standards of quality and have the FSSC 22000, Clean Industry and Kosher certifications. We work with globally recognized companies. We are socially responsible with our people and with the environment.